There’s few things more Scottish than a pint of Tennent’s. Not only is it the country’s favourite lager, it’s also a national icon with its big red T. It’s a beer that’s proud to be from Scotland, and represents everything great about it. But it’s not so easy to capture that sentiment in a simple statement. After all, Scotland is a rich tapestry of cultures, habits and cultures from all corners. So, how to distill that down to make a toast to an entire nation? From there onward, we tackled this beast of a project from two sides – the “where” and the “who”. 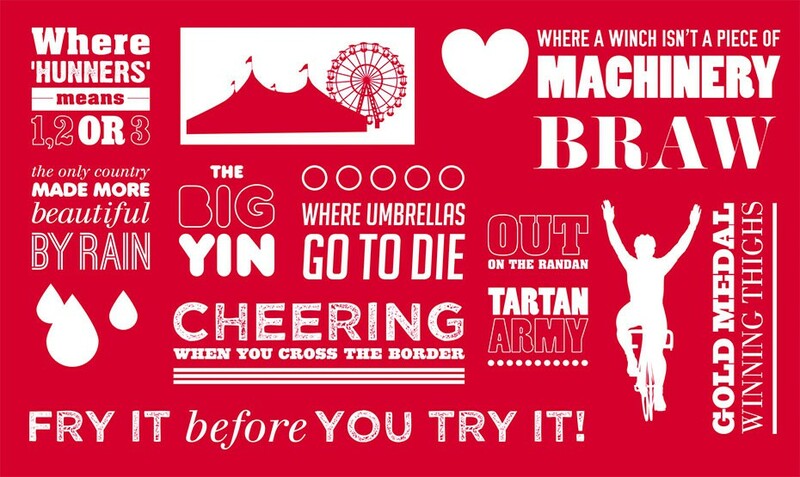 For the where, we chose 6 cities to champion all things Scotland. Love as we would to include every town, isle and city, it would be an impossible task to capture them all in a coherent way. However, it led us to a brilliant (we think) answer to the question of “who”. Instead of writing our own ode to Scotland, we handed the microphone over to the hundreds of thousands of people living in our 6 chosen cities. The plan? We had the beginnings of a user-generated campaign brewing. In putting together a campaign of this scale, management of many different moving parts becomes one of the biggest challenges. 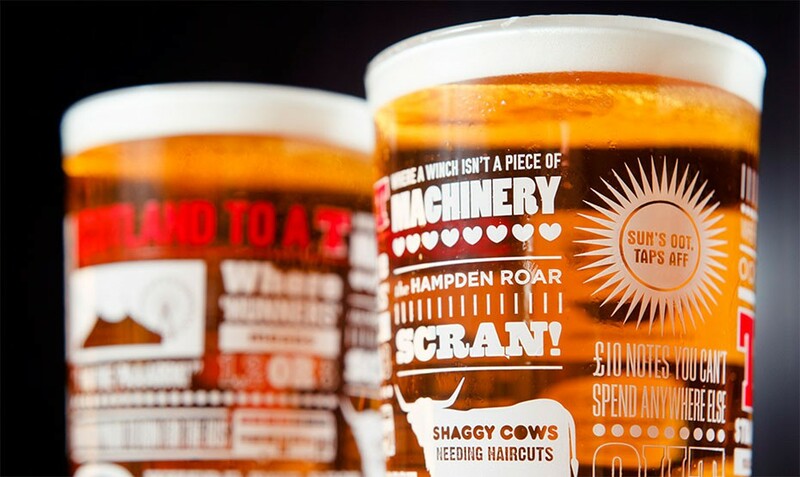 Here’s a story of how we converted all the consumer input from across Scotland into something they’d want to raise their pint in. To inspire great responses from users, we used the open-ended question; “What does your city mean to you?” This was shared via Tennent’s social media channels. We also added a competition element to further encourage sharing. As a result, we got thousands of phrases, words, anecdotes – all great input. Design of the glass, whilst arguably the most entertaining part of the project, was also the most challenging. 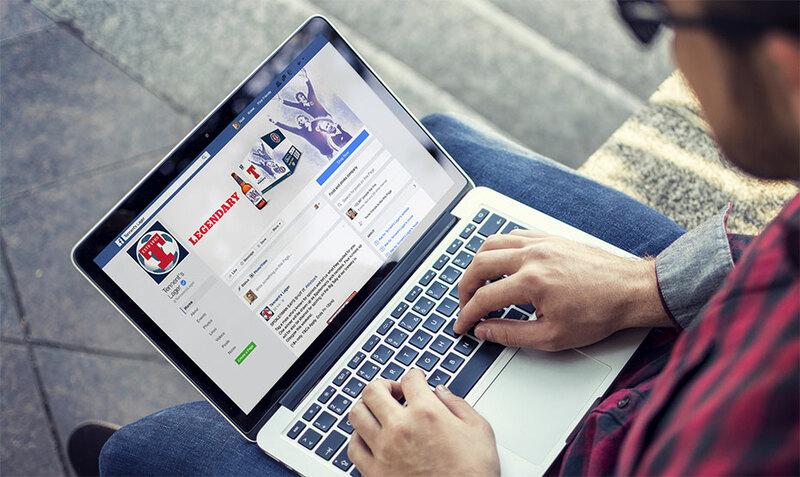 Our creative team filtered the user-created content down to the most iconic, most “local” options. Some we turned into icons, some we represented typographically. Then we combined them all in one big tapestry that could be transposed to the Tennent’s pint glass. Of course, we also had to make sure that these glasses were on display at the heart of their respective communities. 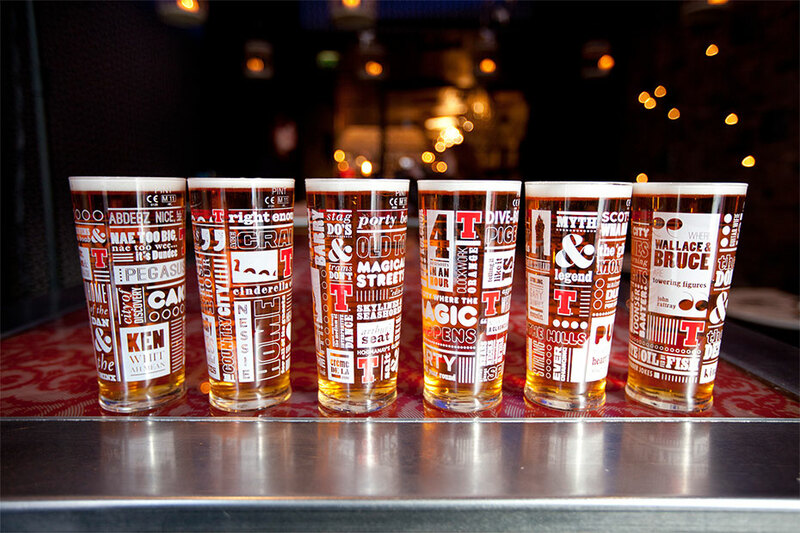 Together with Tennent’s, we made sure the glassware made it in to the right on-trade partners in time for the busy Christmas trading period. In addition, we collaborated with Whitespace, a digital agency, to deliver the ecommerce aspect of the campaign, ensuring Tennent’s drinkers could own a piece of the magic (without having to pocket them from their local). The campaign had obviously struck the right chord. We received thousands upon thousands of contributions, which turned into countless conversations around bar tables and on social media platforms. But the biggest compliment was finding out that half of the 20,000 glasses we gifted the on-trade were stolen on the first weekend (not that we’re condoning that behaviour). Launch ad in press seen by 126,000 across Glasgow, Edinburgh, Stirling.